Sugar is the new tobacco, according to experts last week. We’re hopelessly addicted to the stuff, it’s integral to most of our lives and diet and yet it’s terrible for our health and one of the biggest reasons for the current obesity crisis. Giving it up can seem impossible, when it’s added to so many things and we’ve grown up eating it. But The NutriCentre nutritionist Cassandra Barns says that it is possible. So we asked her to explain exactly how we can ditch the sweet stuff. “Sugar is difficult to get away from," Cassandra explains. "It is ‘hidden’ where we don’t expect to find it, in canned foods, sauces, soups, breads, ready meals, crisps and most other processed foods – this perpetuates the addiction, even if we are avoiding obviously sweet things such as cakes and biscuits." To get your protein, opt for good quality meats, eggs, fish, nuts and seeds, beans and lentils, and – unless you are intolerant to dairy foods – cheese and yoghurt. Protein is digested slowly by the body, keeping you from feeling hungry. 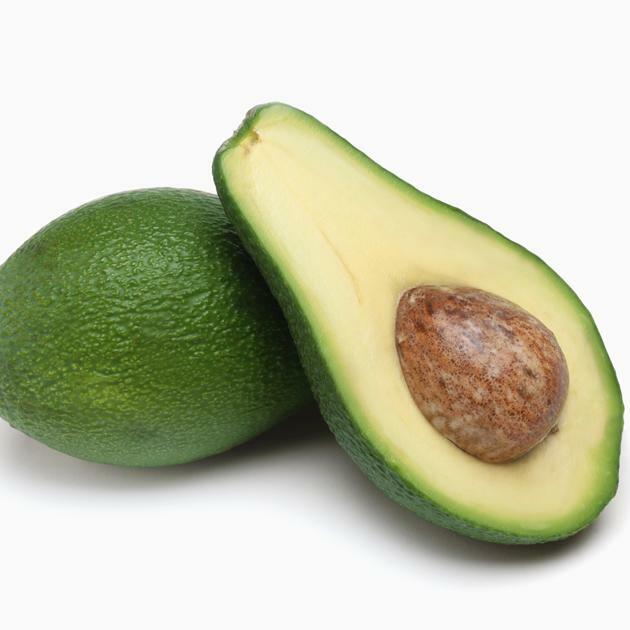 Healthy fats also help and are found in many of the same foods - fish, eggs, nuts and seeds – but also in avocadoes, olive oil, and other cold-pressed seed oils such as flaxseed oil. Eat wholegrains rather than white bread, pasta and rice. And load up on non-starchy vegetables such as leafy greens. If you don’t have breakfast, your blood sugar will dip and you’ll be hungry with sugary cravings. Try eggs, wholegrain home-made museli or a sugar-free yoghurt with nuts and berries. If you’re not a breakfast person, another option is to have a healthy protein shake for breakfast, or as a snack later in the morning: an excellent choice is Nature’s Plus ‘Ultra Energy Shake’, which has 25g of protein per serving, is low in carbohydrates and contains ingredients specifically to help maintain stable blood glucose levels. A healthy snack between meals can help while you are giving up sugar as it stops your blood sugar levels dropping too low, which can cause cravings. Good examples of a well balanced snack include: two oatcakes topped with a tablespoon of houmous, guacamole or cottage cheese or half an avocado or a hard-boiled egg with sea salt and black pepper. Fruit can also be eaten in moderation – it contains natural sugars, but the fibre will help to slow their absorption; and make sure you have some form of protein with it, such as a tablespoon of nuts or seeds. Stick to a maximum of two pieces of fruit a day and avoid bananas and grapes, which are the highest in sugar; but berries can be eaten more freely as they are low in sugar. Alcohol raises blood sugar like sugar itself does but is even worse because, as a liquid, it is even more quickly absorbed. And alcohol contains more calories than sugar: seven calories per gram versus four calories per gram. It's likely that completely denying yourself will only increase the likelihood that you will give in and over-do it on occasion. If you enjoy drinking alcohol, stick to one small to medium glass of wine (or similar) with a meal once or twice a week – this should feel like a treat. If, however, you are the type of person for whom even a taste of alcohol kicks off a binge, avoid it altogether. Unfortunately, although coffee and tea may seem like the one treat that doesn’t contain sugar (unless you add it! ), they can have a similar effect on our body as eating sugary foods. Caffeine is a stimulant that causes our body’s stress hormones such as cortisol and adrenaline to be released, which in turn cause glucose to be released from the liver and flow into the bloodstream. Similar to consuming sugar, this can then cause a cycle of energy dips and peaks, and also make you more likely to crave sugar later on. So don’t resort to coffee or tea when you are low in energy – have a healthy snack instead. And if you are used to drinking lots of them, gradually cut down so you are having only one cup a day. Xylitol is a naturally sweet substance found in many plants. In commercial preparations, it is found in granules and looks and tastes like sugar, although slightly less sweet. It has a much lower glycaemic index than sugar, so won’t raise the body’s blood glucose levels significantly, and for this reason is considered suitable for diabetics and those following a low-sugar diet. Stevia is a substance extracted from the leaf of the stevia plant. It is an intensely sweet substance and very little is needed to give a sweet taste – it has very few calories and minimal impact on blood glucose. Both of these can be found in health food stores and supermarkets and generally come with guidelines about how much to use to substitute sugar. You can have some treats. Plump for two or three squares of minimum 70 per cent cocoa dark chocolate or sugar-free plain yoghurt with a teaspoon of pure cocoa and a teaspoon of xylitol or cinnamon. Moderate exercise helps us to feel energised, less sluggish, and healthier. It can help to control stress levels and also support blood sugar control to avoid dips that will induce cravings. It can also improve mood and therefore reduce the desire for ‘comfort foods’ such as sugar and refined carbohydrates to make us feel better. Stress is one of the primary triggers for sugar cravings, as our body is being prepared for physical action (the ‘fight or flight’ syndrome). The hormone cortisol is released, which increases the release of glucose into the bloodstream, and also generates cravings for more sugar. Even if we don’t realise we are stressed, a deadline at work, a family argument, the pressure of getting the kids ready for school, and many other daily life events often provoke the body’s stress response and the release of cortisol. So try in any way you can to reduce stress, whether it is by delegating or reducing your workload, taking some gentle exercise, or practising yoga or meditation to help you relax. We know that despite following a healthy diet, some of us still crave sugary foods and find it extremely hard to avoid temptation – this is understandable. The good news is that supplements can provide extra support. One of the first ones to try is the mineral chromium. Although we only need it in tiny amounts, this trace mineral has a vital role in supporting normal blood glucose levels, and therefore helping to prevent the dips that cause us to crave sugary foods. Try Quest’s ‘Chromium Picolinate’ – take one tablet a day, preferably with breakfast. This supplement also contains vitamin B3, which works closely together with chromium. Chromium can take a month or longer to have its full effect, so persevere – or start taking chromium before attempting to give up sugar. Even if we are eating foods that help to ‘balance blood sugar’ and sustain energy levels, most of us can benefit from extra support, to prevent tiredness triggering a search for sugar. The B vitamins, vitamin C and the mineral magnesium are particularly important nutrients that are needed to produce energy from the foods that we eat; and we can struggle to get enough of them, even in a healthy diet. Try one tablet a day of Quest’s ‘Multi B Complex’ which contains all the B vitamins together with a generous dose of vitamin C; and a good magnesium supplement such as Nature’s Plus ‘Dyno-Mins® Magnesium Tablets’. The B complex is best taken in the morning with breakfast, to support energy release throughout the day. Magnesium can be taken in the morning or evening as, despite its role in energy production, it can also help to support relaxation and sleep. These nutrients can also help us to deal with stress, and can help to balance hormone levels, so are even more valuable for women who tend to experience sugar cravings around their period. Overgrowth of unhelpful yeasts in the gut, such as candida albicans, can contribute to – or exacerbate – cravings for sugar. But eating sugar and high-starch foods we crave makes the candida overgrowth worse, so we are then stuck in a catch-22 situation. To help control this situation, try taking a high-strength, good quality probiotic supplement. It is hard to give up sugar, and while some people find it easier to go ‘cold turkey’, this can be very difficult for others. Gradually implementing the various steps and cutting down may be a better option. And if you have a lapse and give in to a lovely-looking muffin, a piece of chocolate cake at work, or a few glasses of wine, don’t feel you have failed, as this can turn into an excuse to ‘give up giving up’. Prove your dedication by going back to your healthier diet the day after – and remember that it is far better to have a low-sugar diet with the odd treat than to go back to a dependence on sugar. If you have drastically cut down, you should notice the difference in your energy levels and how you look after a few days or weeks, and won’t want to go back. Congratulate yourself for having got this far and for not giving in!